Brazil and Beyond will appear on the third Saturday of every month at this east-side eatery specializing in Italian cuisine and fresh seafood. Please see the event calendar for more information. Brazil and Beyond’s CD Amanhã received the WEMU-FM award for “Best Sound Recording” in 2001. The band was also the recipient of the 2006 Detroit Music Award in the World Music category for its Sounds of the Holidays CD. In 2004, the band was given this prestigious honor for its Beatles CD release. Brazil and Beyond is a great recruiting tool. Appearing frequently in educational settings, the band never fails to get students interested in studying music; for those already in the music program, Brazil and Beyond has a way of stimulating motivation. 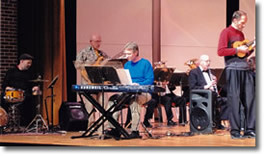 It̵s happened with the Malow Jr. High Jazz Band, the Macomb County Community College Jazz Band and Concert Band as well as the Clawson High School Classical String Ensemble. To learn more, contact Rich K.
Brazil and Beyond press info is now available at ReverbNation. 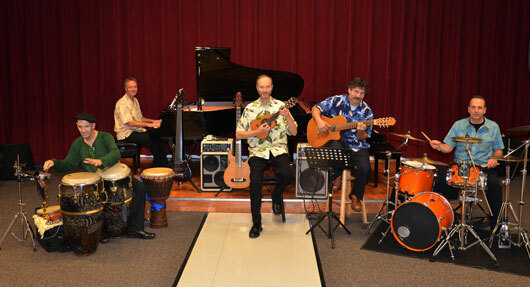 Brazil and Beyond will be playing at Genesee Valley Center Library in Flint, MI. Sunday, October 9, 3:00 - 4:00PM. Please see the event calendar for more information. —Antonio Adolfo, award-winning Brazilian pianist, composer, arranger and author. Check him out on the web: AntonioAdolfo.com. For more, go to the Quotes page.